One of my favorite baseball products from Panini has gotten a second release! It's Donruss back with a second series! I'm very glad that Panini chose to continue on with this retro-themed set. This time around Donruss also comes with a bit of Elite splashed in to add the fun of breaking boxes of it. I reviewed the base card design already in my first Donruss review. If you'd like to see what I thought of them, go ahead and check back there for a detailed review. The base cards are exactly the same front and back. I still love the retro styled backs, but the front could have been much better. 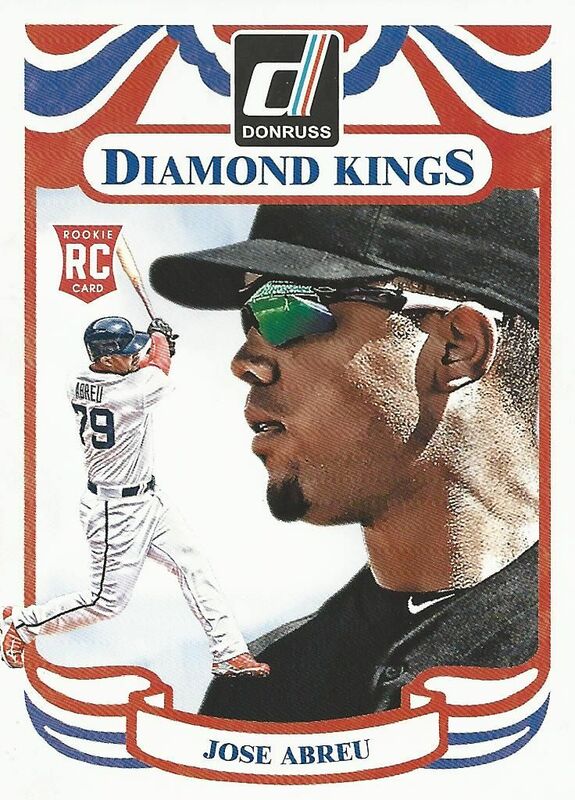 Diamond Kings and Rated Rookies also make a return appearance. These subsets are a hallmark of Donruss and should always be in a Donruss product whenever one is released. Besides the Rated Rookies, there are standard rookie cards as well that include the Panini RC logo. 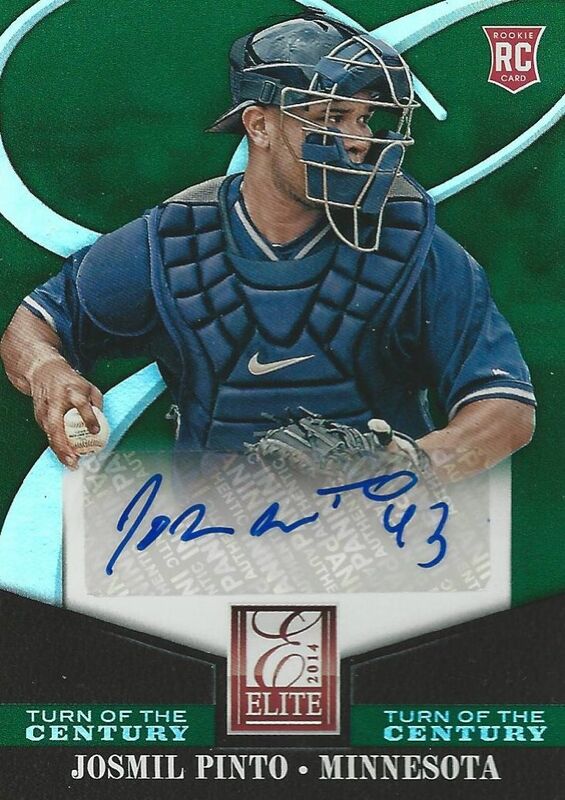 The Jose Abreu Diamond King card is an example of that. If you're looking for a wide variety of inserts and hits, Donruss is the place to look. The box I broke had a memorabilia card as well as autographs. Elite cards have a strong presence within the set as many of the insert cards you will find are from that brand. I recently reviewed 2014 Elite Football, and the these base cards mirror that product. In fact, many of the inserts are shared with the football version. If you're a baseball fan, these Elite cards are great because they allow for more choice in the baseball card market. Fans who enjoyed Elite in the past can happily collect these. The Face2Face insert set is an example of a crossover from football. These cards pair up a couple of players from different teams who went against each other during the season. The concept works just as well with baseball as it did with football. You will not only find Elite base cards and inserts, but also parallel versions of the Elite cards. They come in a variety of colors and numberings. 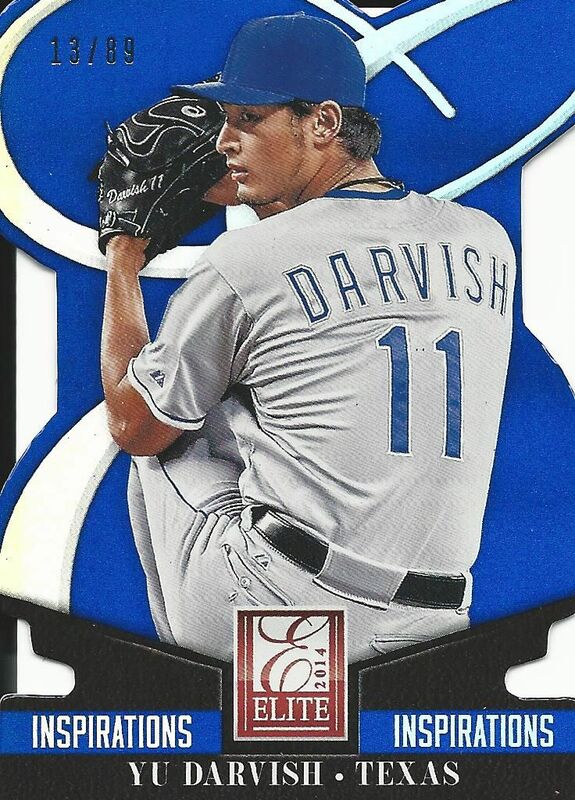 This Yu Darvish Inspirations parallel card has a blue backing, is die-cut, and serial numbered to 89. All three of my autographed cards turned out to be Elite Turn of the Century inserts. These card featured sticker autos and were not numbered. The look of these cards are sharp, but I wish I had a bit more variety in the kinds of autographs that came out of this particular box. Elite Series cards are actually not a part of the Elite set. 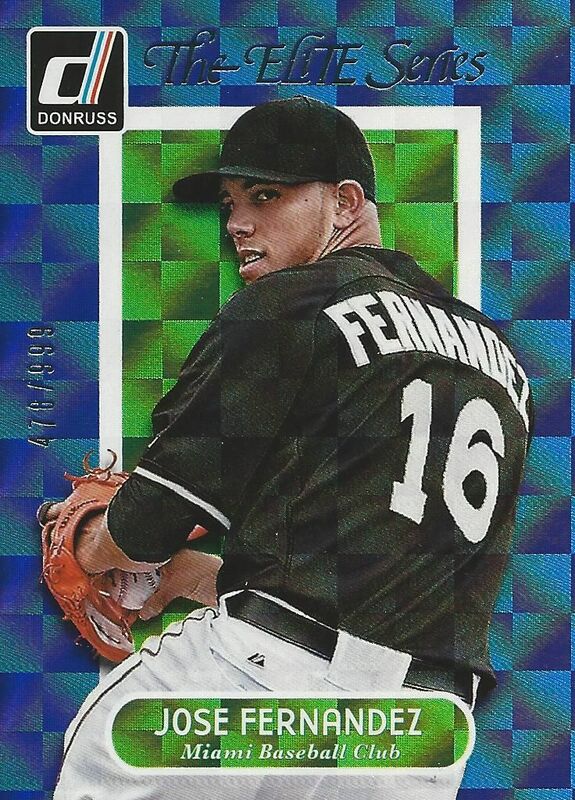 You can clearly see the Donruss logo in the upper left-hand corner of the Jose Fernandez pictured. 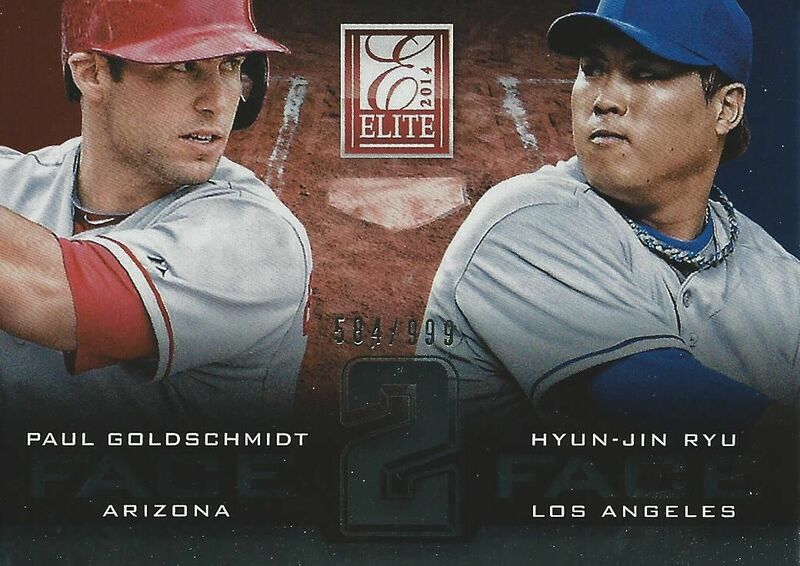 For older collectors like myself, getting an Elite series card in Donruss would have been an amazing pull. The original Elite Series cards were serial numbered into the many-thousands, but they were still super-rare to get. Sadly, I never got one in a pack, but these cards look great and are a throw back to those cards of yesteryear. Some of the parallel cards in Donruss can get pretty low numbered. I find it really interesting how Donruss likes to number cards to a player's statistics. This Wil Myers Diamond King parallel is numbered to just 13 - which represents his career home run total at the time. My favorite card from the box was this Bat Kings card of Christian Yelich. It is a beautiful card to look at and to feel as well. 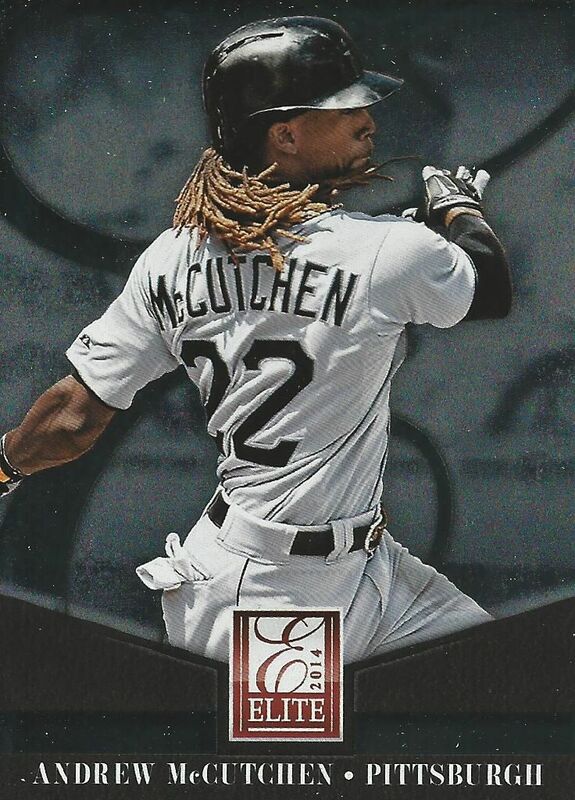 I'm amazed that Panini decided not only to include memorabilia, but to enhance the card in a special way too. The best way I can describe the texture is a matte wood sort of feel. It's very cool. Serial numbering to just 25 is also a nice touch. Many of the inserts that were in Donruss Series 1 are also back this time around. The awesome looking Dominators are back, as well are the 80's inspired 'The Rookies' inserts. No matter which box you pick, you're going to get a nice mix of insert cards and hits. 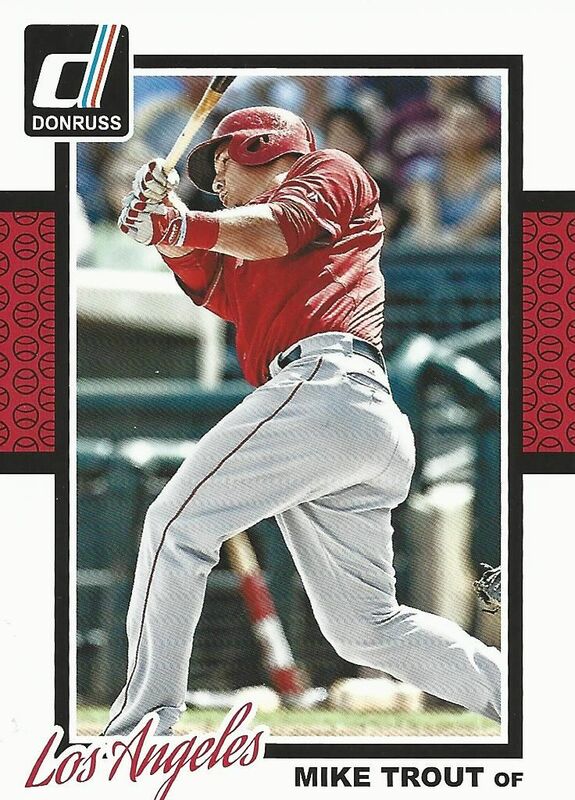 Donruss Series 2 is a great way to round out the Donruss brand for 2014. It continues on the retro-goodness of the first series and adds in Elite cards - a brand that many have enjoyed in the past. Donruss isn't a high-end product, so boxes can be found at reasonable prices. My box included 4 hits - which is a pretty decent amount. 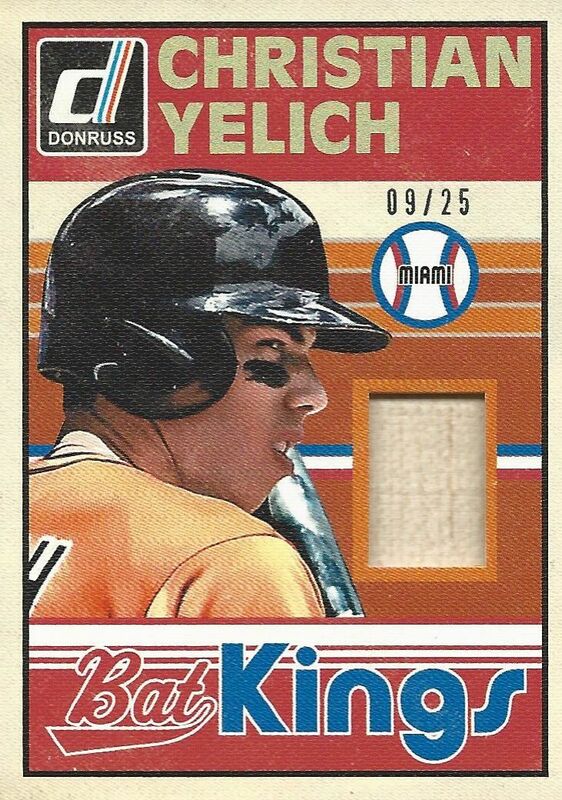 Donruss is one my favorite Panini baseball products. It is really a shame that Panini doesn't have an official MLB license, but they have done marvelously well with the baseball sets they have produced. 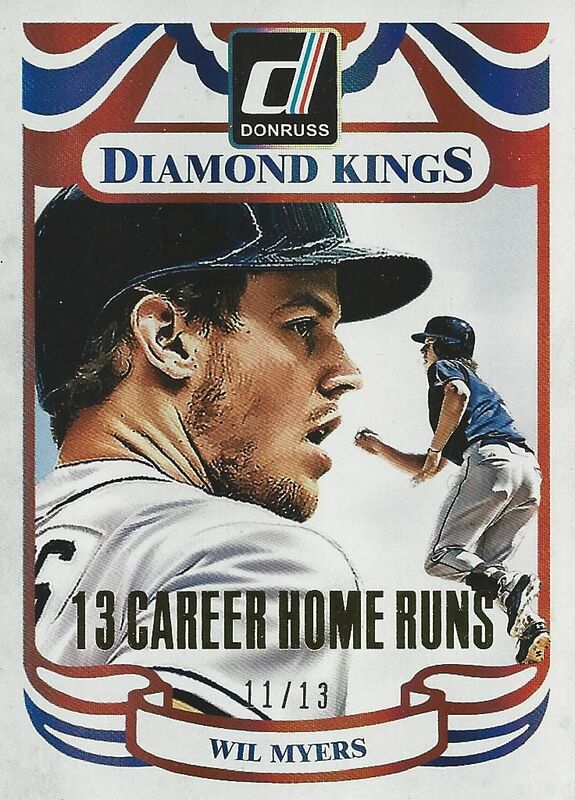 I enjoyed Donruss Series 2 and I'm sure you will too! Not sure if you were lucky or if it's common to get so many press proofs. Also, i like the concept of having a numbered parallel of a card varying upon an event in their career, like the card /13 you hit. Nice product. + You get a lot of nice hits and numbered cards! - I still doesn't like the base cards that much. Sweet Box! Nice Yelich Too!